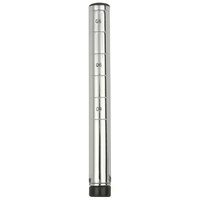 Metro 9990P Equivalent Gray Plastic Label Holder 3" x 1 1/4"
This Regency 64” NSF Listed chrome post provides support to its compatible shelves. If you operate a restaurant, warehouse, dining hall, or other business, it's important to have a reliable storage unit that keeps your supplies organized. 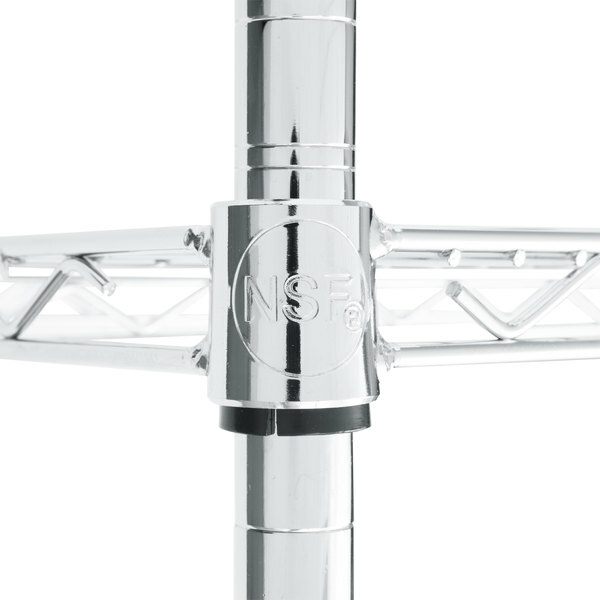 To set up a sturdy shelving system, simply attach this Regency 64" NSF Listed chrome post to its compatible shelves. Its height provides enough space to accommodate multiple shelves, and its gripped feet ensure it doesn't slip. "These posts are a great height for a shelf you don't need a ladder to reach. These are very sturdy. I would highly recommend them." 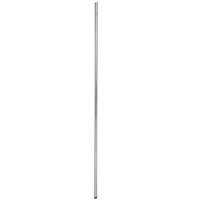 This post is crafted from strong metal wire that’s ideal for use in almost any dry storage area. 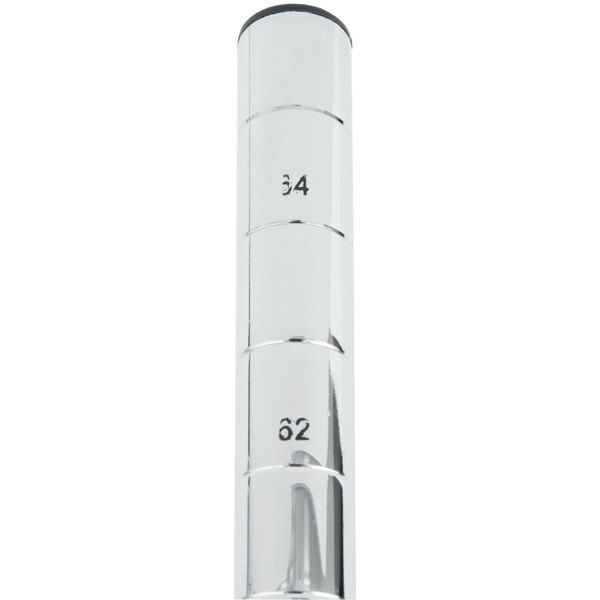 Additionally, its epoxy coating ensures this post stays in top condition for a longer period of time. Thanks to the attached leveling foot, this product can easily adjust to accommodate uneven surfaces. However, this product is not compatible with casters. 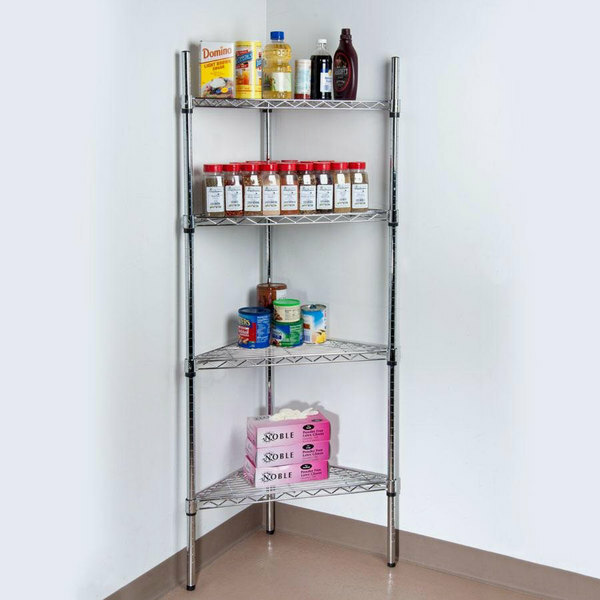 This product allows you to adjust your shelves on regularly-spaced intervals, so you can customize your storage unit and accommodate items of various sizes. What is the difference between mobile posts and stationary posts? 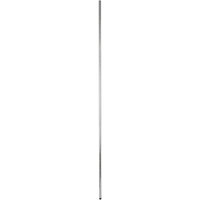 Regency mobile posts do not come with feet, as they are designed to have casters installed (sold separately). Stationary posts come with feet installed. 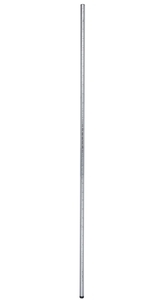 If you plan on using casters with your Regency shelving unit, order the mobile posts. If you want to use feet with your shelving unit, order the stationary posts. Purchased for use in a large refrigerated case and freezer. 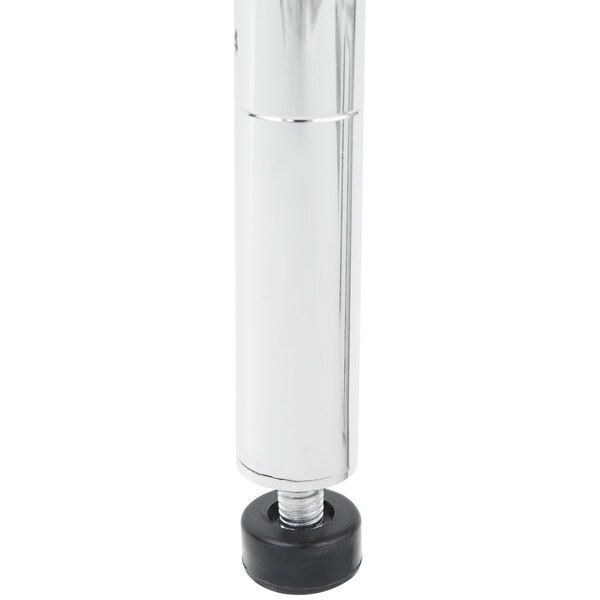 I would stay away from the Chrome posts if you are using them in a damp or cold environment. We made the mistake at fist and then switched to epoxy. They are great for dry storage, just not cold storage. These are easily the best posts for wire shelves that you can buy when it comes to cost. They hold up to anything, and they look fantastic! Definitely worth the buy. Shelf is not bad, the interior of these shelves are rusted, (I know because we trimmed them to a lower height), so if the chrome ever comes off you will have a very rusty shelf, but as long as its kept in reasonable condition, these should list awhile. These chrome posts are setup with some shelves in the basement storage area. I place mya dry goods on this shelf and it holds up like a charm . We received posts we ordered on time and as expected. Excellent product. With two people, it was easy to assemble the wire shelves and posts. We use these to hold up shelving in our wine cellar. 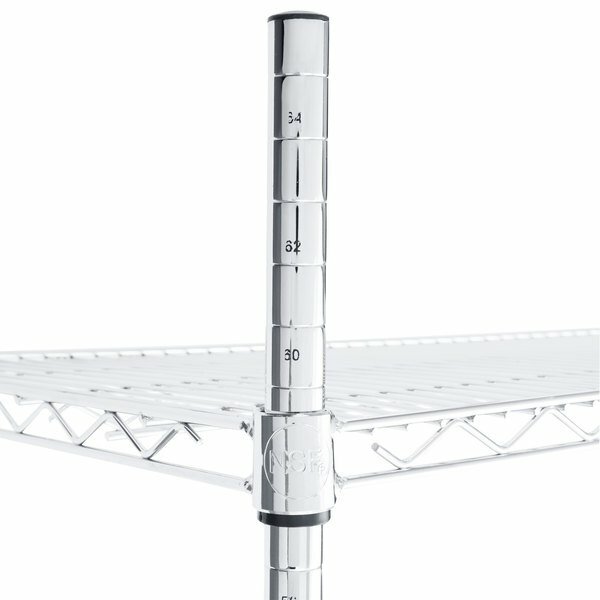 They are thick and heavy duty and have adjustable feet to help your shelving sit level even on uneven floor. 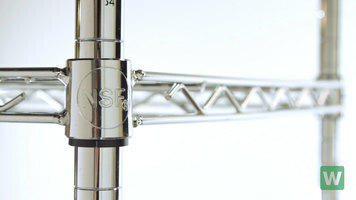 They also have marking of height on the sides so assembly is made easy. 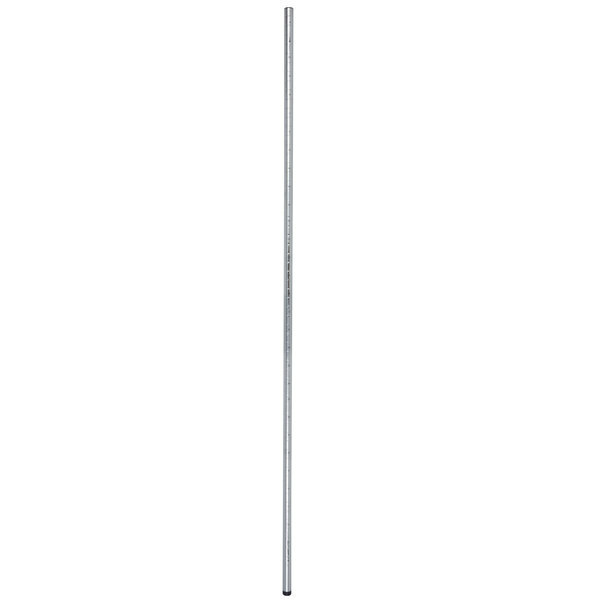 Sir Clean recommend this product Regency 64" NSF Chrome Post, it's very resistant, this chrome post have measure to help when you have to put the shelves. See my review about the Regency chrome wire shelf, but the same things apply. Went with the 64" posts and 4 shelves to start, plan on possibly buying a fifth shelf in the near future when I need another big of storage space. Great setup. These made my shelves super easy to put together and are very sturdy I am really happy with everything I have ordered on my first order and look forward to placing my next one. ?? Strong and did the job but they rusted after a while so probably would not buy again. We are in a very humid environment so this might not be the case for everyone. These go great with the shelves. They look nice also. We love these racks and easy to setup. Highly recommend for all restaurants to use. Just recently got my chrome posts. Great deal compared to other companies selling these posts. So needed in everyday work of the restaurant. Easy to install. Regency is a brand I've used at home and in a commercial kitchen and it has held up well over the years. It gives a great polished look to the kitchen and creates a great deal of easy, accessible shelves. The quality is there and the durability is too. 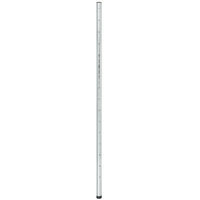 Very strong and sturdy poles, really well priced when you compare. 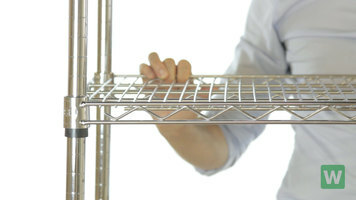 Easy to put together, and they have adjustable feet so you can level your shelves to the floor. I had a tiny space next to my washer & dryer & needed storage, so it is perfect 64" posts with 3 shelf (Not Include). The shelves pull out easily so I can clean underneath & they looked great. 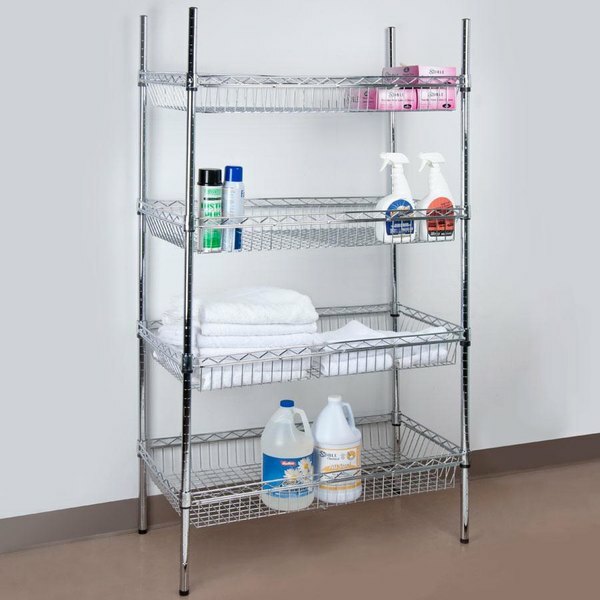 This shelf post supports our regency chrome shelving units. This is better in a dry storage area because it is easy to clean and isn't as great in a wet area. The feet that these come with are very nice. I really like these posts. Overall it is a nice height and good product. I can definitely recommend. These work very well with the shelving units. I wish they had more options for lengths available but they do cut easily with a hacksaw. I have had this at the bakery for over a year and it still is shiney, cleans up nice and is easy to move when needed. These posts are a great height for a shelf you don't need a ladder to reach. These are very sturdy. I would highly recommend them. 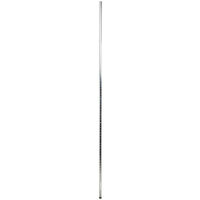 The Regency 64" NSF Chrome Post is great because we couldn't do a standard height shelf, so the ability to buy a shorter shelf was good. Excellent product and variety available. Hard to find just the posts. easy to find extra shelves but not the posts. Prices are very reasonable as well. This is a study post that is holding up a lot of shelves and a lot of very heavy bins in our basement. We haven't had any problems, and the whole regency set (shelves, poles, plastic bits that hold up the shelves) was very easy to use and just as good as any other metro-type shelving I've used.